Getting a product from manufacturing to a store shelf requires a solid supply chain logistic strategy. A weak link involved in the supply chain could cause a complete collapse of the entire system. That is why it is vital for businesses to embrace the following nine items as a kind of marine industry supply chain logistics checklist. Set Objectives: For their supply chain to be effective, a company needs to have a clear picture of the end game. Yes, it’s about moving goods. However, there are other factors like managing labor fees, transportation costs, and environmental impact that have to be considered when developing these strategies. All of the costs associated with the shipment of goods are “hard numbers” that should be easy to access and update. Computer Models: Utilizing a thoroughly integrated computer program to analyze data is extremely important for companies who are developing their supply chain logistics. It’s a way of seeing how things will work, before they are put in to practice. The right model should allow a company to predict the costs of a specific shipment based on inventory weights, routes, and even weather conditions. Embrace the Variables: Even the best model can’t predict the unpredictable. A strong supply chain needs to be able to adapt to the unforeseen. For instance, would your company be able to compensate if a shipment was stuck in a snowstorm for 72 hours? It has happened. The Right Data: It all comes down to the numbers. Without the right set of data points, your optimization programs will fail. All the factors need to be included in the algorithms you’ll develop for your supply chain formulas. Those factors also have to be current and easy to access. Total Integration: In order to promote total integration, all of the collected data needs to seamlessly transfer between programs. Keeping track of shipments between ports, warehouses, and retail outlets requires inputting data about orders, sales, operational fleet size, routes, and drivers. Since all of those data points could be coming from different sources, you can see the need for integration. Your clients need to be able to track their shipments from end to end. Execution: Just because you’ve worked out a comprehensive supply chain strategy doesn’t mean it will be easily implemented. The best strategies are those that can be easily adapted by everyone involved in the supply chain. The real test would be if you were to go on vacation. Can your system be handed off without triggering a breakdown in the chain? Staff: You’re not going to be able to simply hit “enter” and have all of the information instantly utilized. Your staff needs to become proficient with the use of your models and with importing data. In other words, don’t make things too complex. Also, factor in the need to provide training for your staff. There will be a learning curve. 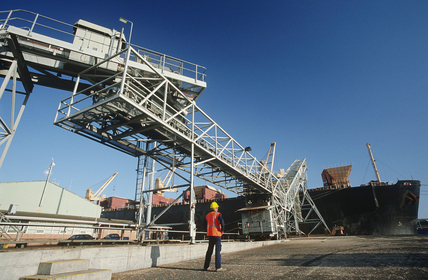 Monitoring: Once things are up and running, your supply chain will require constant monitoring. There has to be room to make adjustments that suit the business, without alienating customers. Even the best supply chains can benefit from reviews. In other words, there is always room for improvement. Return on Your Investment: While there are hundreds of cheap boilerplate contracts and purchase order templates that can help keep costs down, your supply chain optimization system is not going to be free. You can utilize established platforms, but you’ll still need to invested time and money into making these programs work for your specific company. Before you proceed with a supply chain overhaul, an honest assessment of your needs is required. This will help to ensure the best return on your investment. If that means bringing in outside help or going offline with your shipments, then that’s what you’ll have to factor in to your bottom line.